Design Burd Inc.Technique Data Systems | Design Burd Inc. Creating a Culture of Excellence for Over 20 Years. Service seems to be a thing of that past. Good thing weâ€™ve been in business for over 20 years. Partnering with our clients to supply and service is secondary to one thing, listening. Understanding your business and itâ€™s unique needs are the difference between a broker and a partner. Over the years weâ€™ve built a culture that values partnerships over profit, people over machines and service over sales. 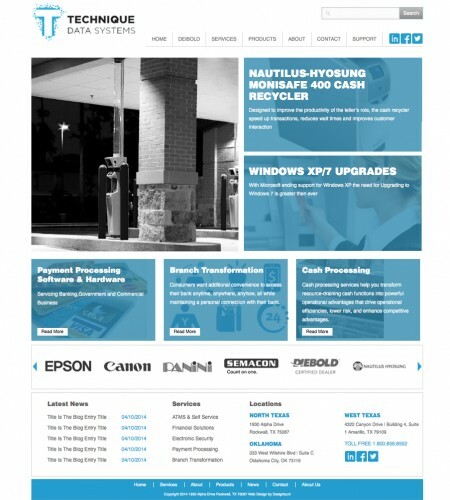 With a fully functional Wordpress sales site listing each vendor and service Tech Data Systems needed an eCommerce solution to showcase its product base. Each product supports a service and the WooCommerce category system integrates the two seamlessly.